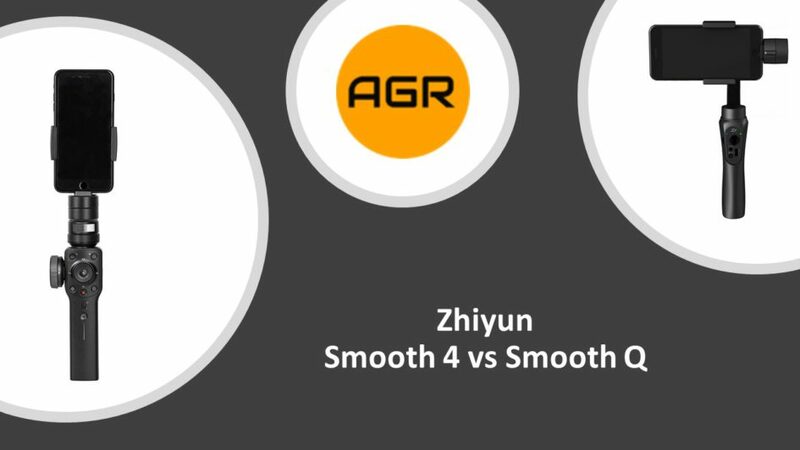 I want to show you today my comparison of the Zhiyun Smooth 4 vs the Zhiyun Smooth Q. Both of these are smartphone gimbals but can also be used with a GoPro using an adapter. When DJI came back to the market and released the Osmo 2, they had to bring the price down looking at the huge competition in the market. And when Zhiyun announced the Smooth Q, I thought that they will need to bring their price down but they did the opposite. 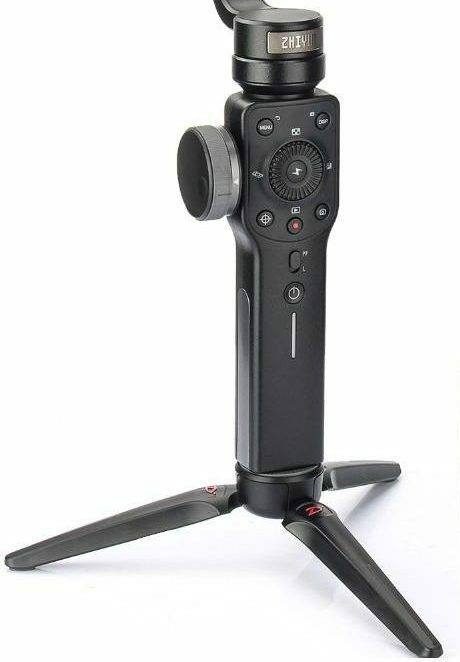 The Smooth Q was a simple gimbal with a normal build, design and few buttons. However, the Smooth 4 jumps ahead with really cool features that turns it into a really useful gimbal. Let’s see if there’s a difference between Smooth Q and Smooth 4. The overall build on the Smooth 4 is clearly superior. It’s a bit bigger and feels firmer in the hand. Unfortunately though, I’m disappointed to see that the design flaws on the Smooth Q haven’t been resolved with the Smooth 4. For example, the placement of where the power connector of the phone is still the same. The mount still covers it up. Even though the Smooth 4 is designed to charge your phone, it won’t be possible to get phone position right for charging without messing around with the balance of the gimbal. The grip on the Smooth 4 is still a bit slippery, I first thought the strips on the grip handle will help with a better grip. The Smooth Q grip handle was really poor designed and very slippery, they have improved that on the 4 but apparently not good enough especially if you have small hands. One of the nice features on the build of the Smooth 4 is the removable mini tripod. This makes it easier to use, you set the gimbal down then mount your phone on it. You can then push some buttons, no problem! Fold the tripod back down, you’ve got extra room for stabilization. You don’t want it, you can un-screw it and remove it. This tripod is pretty much universal and it can be attached to the Smooth Q without any issue. It’s nice that they included this mini tripod with the Smooth 4, so I don’t have to pay more and buy one. There are so many buttons on the Smooth 4! Compared to the Smooth Q. All the buttons you need are on the Smooth 4 gimbal. They make it easier to control and access the advanced features of this gimbal. I won’t cover these now in this article but if you’re keen to know more about these functions then check my Smooth 4 review and tutorial. One of the biggest addition to the Smooth 4 is the wheel on the side that has two uses. First it can be used as a zoom and then with a click of a button it can be used a for focuswhich can be very helpful. Even with today’s newer smartphones that come with larger sensors, you can actually get some shallow depth of field effects and move around. And also with today’s smartphones with dual cameras, the zoom isn’t just digital. Now the iPhone 7 plus among other dual camera phones can actually do two times zoom optically and this lets you navigate through it. Both of the gimbals have Pan Follow Mode, Lock Mode and Full Follow Mode. However the Smooth 4 doesn’t have a good Selfie Mode. Well on the smooth Q, I tried the app once but I gave up. On the Smooth 4 though, the app is much improved, it connects flawlessly and it was super easy to use, I was a bit surprised at how well it works. One big downside of using the app though, it drains the battery. It is unbelievable how fast it drains the battery or the phone gets very hot, so make sure you start with a full charge and just expect to have to recharge afterwards. One way of mitigating that is to just not use the app. Now you don’t get to use the controls but you can use the native camera app in your phone, not recommended looking at how much the ZY Play app has to offer in terms of features. I was hoping there would be an improvement in stabilization between the Smooth 4 and the Smooth Q because it looks like the motors are a bit stiffer and more heavy duty. It’s not a big noticeable difference, the difference where it is noticeable is the algorithmic programming of it. It seems to be smoother and not as jumpy in deciding how to move your smartphone as it used to be in the Smooth Q. Also if there’s the new phone go mode, you can hold down one of the side toggle buttons and you can move your phone as fast as you want and it will follow with you and then you can recoup and go back to being smooth again. Another very useful and very appreciated thing the Smooth 4 has compared to the Smooth Q is the battery life meter. Not sure why not everything these days comes with a battery life meter. It would be really cool to have this on all gadgets! The smooth 4 comes in a styrofoam box that I honestly liked very much because it is well made. It offer a good protection for the gimbal and fits the tripod and an extra GoPro if you use one. The GoPro can fit in the space where the battery was when you first opened the box. They could have improved the design a little bit by adding a handle or strap for example. It would have been a nice option. I prefer the Smooth Q’s case to be honest as it’s more practical but has less protection than the Smooth 4 case. 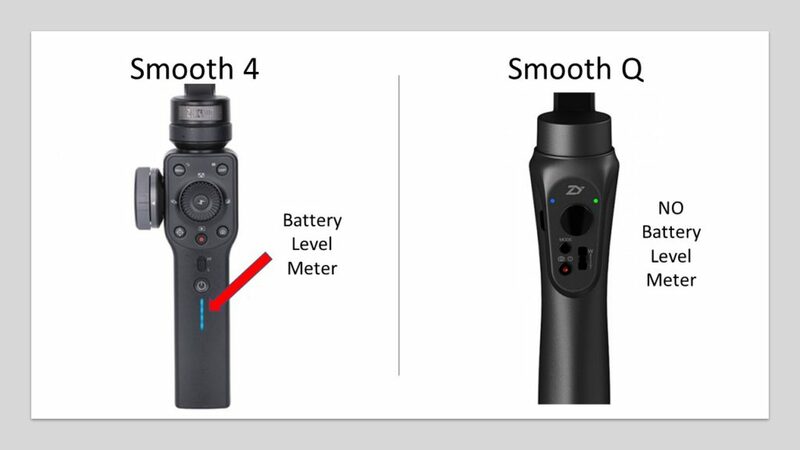 Both the Smooth Q and the Smooth 4 are good gimbals. I have provided my comparison on the differences I saw in both of these gimbals. I liked the Smooth 4 and I find that it’s a powerful tool that has a lot of features and improved design compared to the Smooth Q. Both were designed to be as cheap as possible and that turned out to be true looking at their price which is very reasonable. It is up to you to decide which one suits your needs. At the end of the day remember it’s the user that also makes the best footage and not only the gimbal. I hope you enjoyed my Zhiyun Smooth 4 vs Zhiyun Smooth Q comparison.